The Vietnamese cargo ship Hai Thanh 26 sank after collision in Vung Tau Sea on 45 nautical miles east off Vung Tau City in southern coastal Ba Ria-Vung Tau Province. The eleven seamen on board of the sinking cargo ship sent distress signal to the local authorities and requested immediate assistance. The MRCC asked the tanker Petrolimex 14, which was on only 5 nautical miles from the collision site, to join the search and rescue operation. The products tanker headed to the last known position of the accident and found a buoy with two crew members from the sunken ship. The two people were rescued and informed the crew that other crew members drifted away on another breeches-buoy. The crew of the tanker started search and rescue operation and found the other buoy, but there were no one. The remaining nine crew from the capsized Vietnamese cargo ship Hai Thanh 26 are reported as missing. 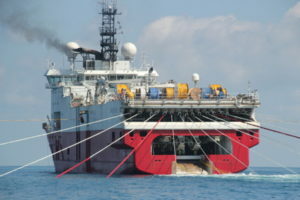 The local authorities started search and rescue operation, sending two other vessels SAR 413 and SAR 272. There were no trace from the missing people yet, but Coast Guard and local authorities continue to explore the region. The investigation for the root cause of the accident and the other participant in collision is under way. 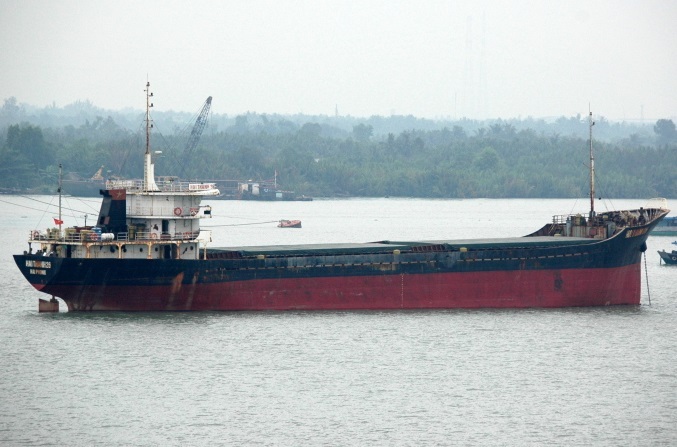 The cargo ship Hai Thanh 26 sank at midnight after colliding with a yet unidentified ship. The cargo ship Hai Thanh 26 (IMO: 9611096) has overall length of 79.80 m, moulded beam of 12.80 m and maximum draft of 3.50 m. The deadweight of the vessel is 3,074 DWT and the gross tonnage is 1,599 GRT. The ship was built in 2010 by Song Ninh TKV Shipbuilding in Vietnam. During the accident the freighter was en route from northern Hai Phong City to southern Can Tho City with cargo of clinker.